The Honor V20 was released in China a few weeks ago. 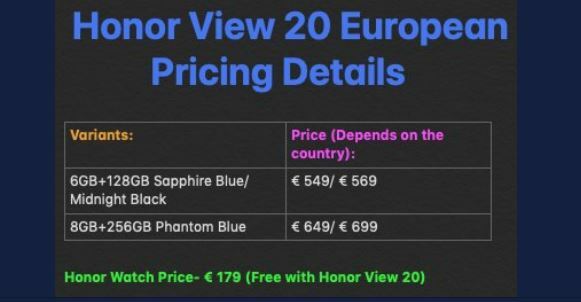 The device will be making its way to the global market on January 22 as the Honor View 20, and a new report reveals that it will also come with a shocking increase in MSRP for the European market. Honor released the Honor V20 in China at the very end of 2018. 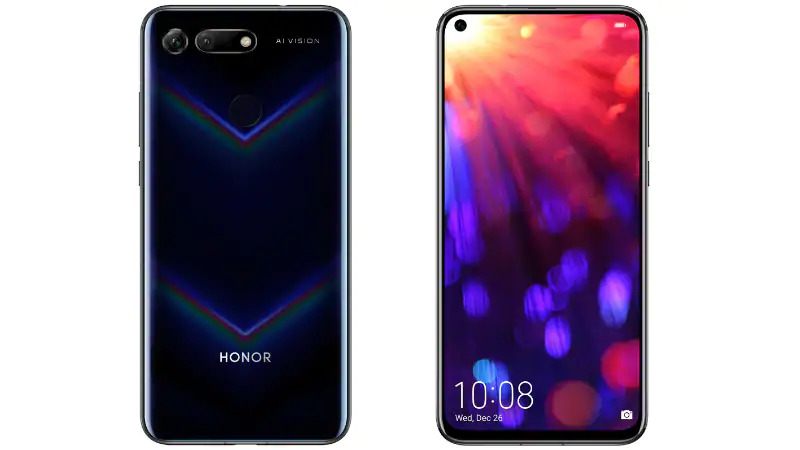 The company will bring the premium phone to the global market on January 22, where it will be named “Honor View 20” instead, if previous releases are any indication. Pricing details of the phone in Europe have now been revealed. According to the source, the View 20 will come in two models, just like it did in China. The base model will feature 6 GB of RAM and 128 GB of storage, while the other will be equipped with 8 GB of RAM and 256 GB of storage. Going by this, the 6 GB model will have a price tag in the region of €549 to €569. The 8 GB model will reportedly cost somewhere between €649 and €699. For some perspective, the prices in China convert into €385 for the 6 GB model, and €450 for the 8 GB model. The average European VAT rate is about 22%, which would place the phones at €470 and €550. There’s still a handy price differential from the figures the source quote. That differential is expected to be made more acceptable by the fact that Huawei will be shipping the phones—at least in some countries—with a free Honor Watch Magic smartwatch valued at €179. We’re sure buyers would much rather the company kept its watch and reduced the phones' prices, though.